FBN's Nicole Petallides on Boeing's first-quarter results. 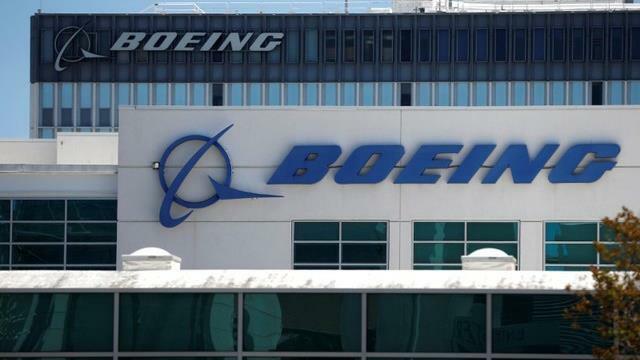 Boeing continues to dominate the world’s aerospace market, with the U.S. plane maker announcing it outsold Airbus at the 2018 Farnborough Airshow in England. Chicago-based Boeing won 528 orders and commitments at the event, while Airbus tallied 431, or 371 when subtracting 60 Bombardier CSeries jets, which the French plane maker recently acquired and rebranded as the A220. "Boeing led the way at Farnborough, demonstrating value for our customers, capturing important new business in products and services, and announcing the unique strength of our strategic partnership with Embraer,” CEO Dennis Muilenburg said in a statement. The world’s top two airplane builders declined to name the buyers on approximately 400 deals, with Airbus citing growing trade tensions leaving certain companies nervous to side with the U.S., according to Reuters. An Airbus spokesperson told FOX Business it was at the request of the customers. One deal of note included AirAsia X, a long-haul budget carrier and sister airline to AirAsia, which signed an agreement for 34 additional A330neo widebody twin jets, increasing the total number of the aircraft ordered to 100. Boeing did well in the freighter category, signing deals at the airshow for converted versions of its 737-800, as well as its 747 and 777 jets. Volga-Dnepr Group and CargoLogicHolding signed a letter of intent to acquire 29 777s and confirmed an order for five 747-8 freighters. The plane maker also reached an agreement at the airshow with GE Capital Aviation Services for 35 737-800 converted freighters. Earlier in the week DHL placed an order and commitment for 14 Boeing 777 freighters and the purchase rights for seven additional freighters, valued at $4.7 billion.